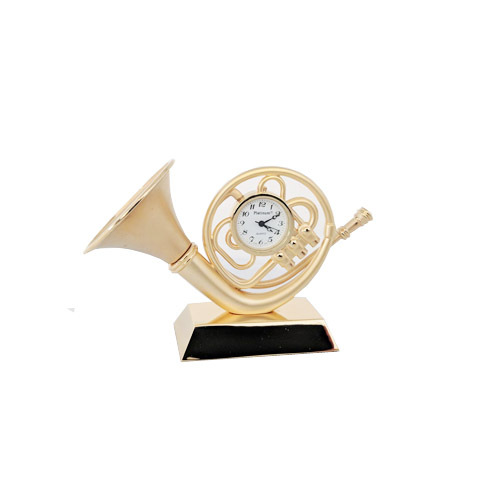 This elegant (silent) Mini French Horn Clock in highly polished gold vermeil is a treasure. This series has dials integrated into the form of the instruments. They are so perfectly scaled that they seem almost real enough to play. H: 2 5/8" W: 4" D: 1 9/16"